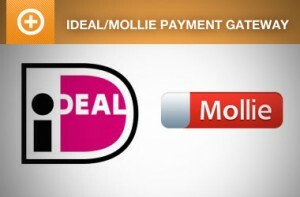 We are pleased to announce that Event Espresso 4 is now fully integrated with the iDEAL Mollie payment gateway. 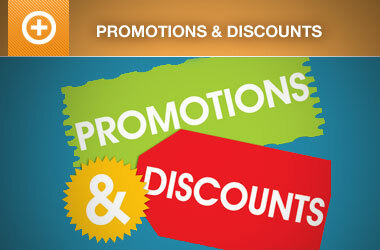 iDEAL Mollie is a Dutch payment method specifically for Netherland bank users. With iDEAL Mollie you get a quick and secure way to accept credit card, debit card, PayPal, Bitcoin, paysafecard, AcceptEmail, SoFort Banking, Bancontact/Mister Cash, and iDEAL bank transfer payments online. 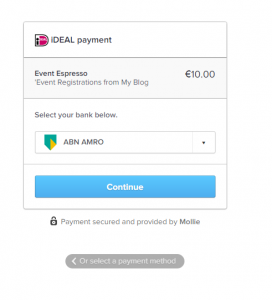 With the Event Espresso iDEAL Mollie integration, you can create exactly the payment experience you want in your Event Espresso powered website, and iDEAL Mollie handles everything from security to transfers to your bank account. You can get started immediately. 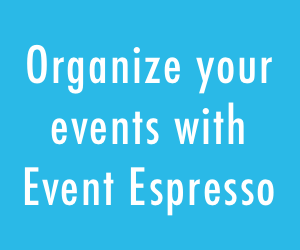 Purchase the iDEAL Mollie Payment Gateway for Event Espresso 4. Your customers get transferred to the bank process they are familiar with. Great news. This was actually the reason we decided to go for EE3 two weeks ago, since it was not available in EE4. Is there any way to upgrade to EE4 ? 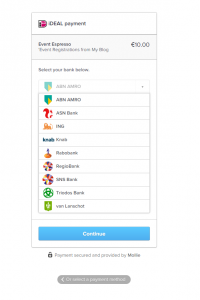 Does SofortBanking and Credit Card payment in this plugin also work from outside Netherlands? 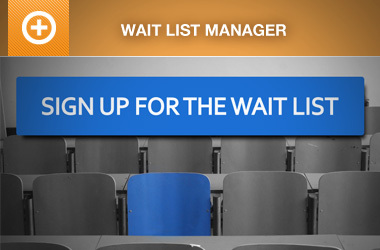 Right now, iDeal payment methods (via bank transfers) are only available. We are adding more payment methods to the development schedule. I doubt the bank will care where you are processing the transactions, as long as it is with the Netherlands bank. But you will have to confirm that based on the restrictions of the bank.